Showcasing more than 100 technology companies, start-ups, and emerging IoT players with innovative products and solutions for businesses, the 6th edition of IoT Asia opened at the Singapore EXPO on Wednesday (March 27). Dr. Vivian Balakrishnan, Minister for Foreign Affairs and Minister-in-Charge of the Smart Nation Initiative, delivered the keynote address. With over 6,000 international attendees, the conference agenda is focused on disruptive technologies and their applications in the retail fulfillment and logistics space. 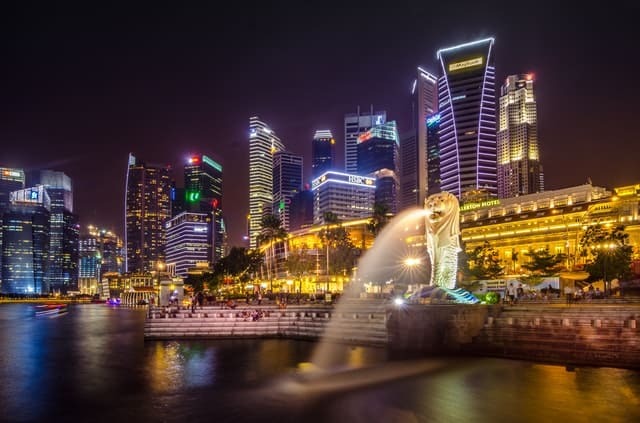 Jointly organized by SingEx Exhibitions and the Singapore Industrial Automation Association (SIAA), the event will witness important collaborations in the IoT community, including the signing of MOUs between the Singapore-German Chamber of Industry and Commerce (SGC) and the Indonesia IoT Association on March 28 to form strategic alliances that impact innovation adoption. “IoT trends and emerging technologies are set to reinvent the landscape by driving digital business innovation for a decade. We recognize that the adoption of IoT presents an unparalleled opportunity for us to identify the technologies that will impact businesses in multiple industries,” said James Boey, Executive Director, Industrial & Urban Solutions, SingEx Exhibitions. “In this context, IoT 2019 plays a key role as an enabler of technology adoption; a matchmaker of quality business leads; and a cultivator of skills development and education,” he said. Terence Teo, President SIAA, said that emerging technologies have always helped to grow businesses through greater data-driven insights. “As the industry grows at an unprecedented rate, advanced technologies will be required to make sense of the complex bulk of digital data collected,” Teo said. This year’s conference focuses on building value chains with key segments on Artificial Intelligence and Blockchain and will delve into specific industry sectors such as e-commerce and construction. The conference program will feature international luminaries such as Saadia MUZAFFAR, Founder, TechGirls and former member of Waterfront Toronto's Digital Strategy Advisory Panel, Canada; and Martin YATES, Chief Technology Officer, South Asia & Emerging Markets, Dell EMC. Other speakers who will discuss IoT security include Prof. YU Chien Siang, Chief Innovation & Trust Officer, Amaris AI; and Oliver Meili, Head of IoT Development & Operations, Bosch Software Innovations. Meanwhile, Anthony Burke, Professor of Architecture & Associate Dean of International & Engagement, Faculty of Design Architecture & Building, University of Technology Sydney, Australia; Joelle Chen, Director, Global Partnerships & Marketing, Intelligent Air Solutions, MANN+HUMMEL Group; and Salim Aslam, IoT Solution Architect, Social Innovation Business, Hitachi Consulting, Singapore will share insights on reimagining and redefining a truly intelligent city.